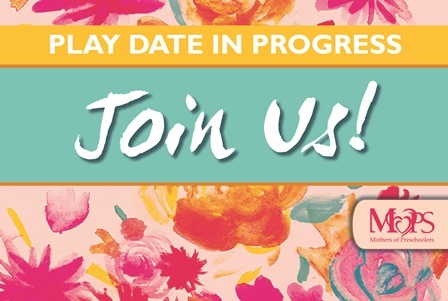 Aug. 22 Play Date and Early Registration! Interested in finding out more about MOPS and meeting some of the friendly faces in our group? We invite you to join us this Saturday, August 22 from 11am-12:30pm at Sequoia Park. We’ll have information for you and registration forms available if you’d like to pre-register for the year! Look for this sign to find us. We can’t wait to see you! We had a guest, Amanda, who also shared her favorite hair product, doTerra peppermint oil drops, and lip balm. Thanks Amanda! In addition, our members all received special wristlet key chains as a year-end gift. We had a blast this year and are looking forward to A Fierce Flourishing as we start up again in September. Our steering team is busily prepping their very favorite things to share at our LAST meeting of the year! These can be anything… products, recipes, homemade items, and more. It’s all a surprise! Be ready to take home some goodies. Some of the items will be given to everyone and some will be only available to a few people via raffle. This is a can’t miss meeting! Are you a mom (or an expectant mom) looking for a place to belong? We invite you to join us in the journey of motherhood! MOPS at Eureka Faith Center Foursquare Church is here to help provide you with the tools you need to not just survive the years of raising young children, but thrive in this time of wonder and miracles and challenges. We meet at Faith Center on the first and third Tuesdays each month from 9:15-11:30am. Come see what we’re about!